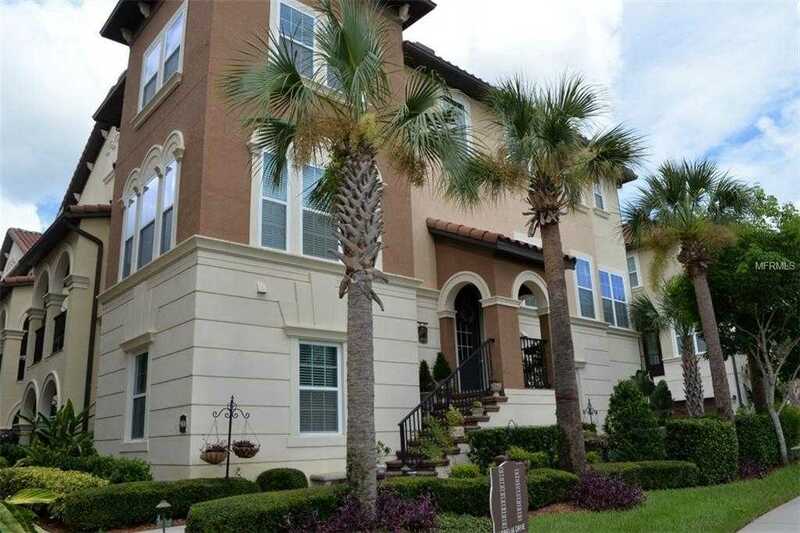 Gorgeous luxury townhome in Mediterranean community of Fountain Park! With over $60k in upgrades, you 8217;ll find the highest quality throughout. Features wide-plank Hickory laminate floors on main living space, rare custom-built kitchen redesign, with cabinetry to the ceiling, beautiful granite countertops, tumbled marble backsplash, accent lighting and high-end stainless steel appliances. Has abundance of crown molding. Custom built-in cabinetry in the living room is spectacular. Redesign on the third floor allowed for larger master closet and larger laundry room. Extensive use of pocket doors throughout. Second refrigerator located on first floor. This is located on a premium homesite overlooking green space. This guard-gated community offers resort-style living, with large clubhouse, resort-style pool, fitness center, tennis courts, putting green and playground. Please, send me more information on this property: MLS# O5777156 – $392,500 – 900 Lobelia Dr, Lake Mary, FL 32746. I would like to schedule a private showing for this property: MLS# O5777156 – $392,500 – 900 Lobelia Dr, Lake Mary, FL 32746.